Unless you’ve been living under a rock in the Netrunner community, you’ve likely heard that Fantasy Flight is pulling the plug on the game. I won’t go on much about this other than I suspect that this wasn’t the planned outcome for the game under FFG’s reign. However it sort of leaves an interesting situation on what cards to use going forward. One aspect is rotation. Aside from getting a few problematic cards out of the pool, rotation in the game would also facilitate release of new product. Since FFG could basically ignore a few expansions due to rotation, this could allow for similar cards in function but be designed to work with newer cards. You didn’t have to worry about some weird combo with a card from the Genesis Cycle, which also means you could flex card design muscle some exploring other combinations with new cards. That’s no longer an issue. The card pool is static now. Another huge issue is the revised core set which removed cards from the game. Now some were underachievers but a few of these cards likely were a tad overpowered. I could see some not necessarily being broken, but severely limiting the design space for new cards. Every criminal console created after the core set had to compare to desperado and typically they failed to size up to it. My Netrunner gang is tiny and I’ve been struggling to figure out how to go forward. With no further cards being released for the game, the idea of adhering to rotation is silly. Likewise abandoning older cards that were retired from the revised core and others on the recent MWL list also seemed not worthwhile. I have a pal that just jumped into the game and is buying stuff from a bunch of scattered expansions. Think it daft to tell him he can’t play with certain cards because they were banned. On the flip side you have to recognize that some cards can/are broken and need to be restricted in some way. Getting rolled over from someone using a power deck isn’t fun. So I’ve been leaning towards using some type of Most Wanted List for our group. I think going back to the idea of Universal Influence is a good way to move forward. Rather than restricting or banning cards, just implement a larger influence penalty. However I went a step further and really increased the cost for several cards. Essentially if a card was on the restricted list before, they now have 3 universal influence, and if banned they have an additional cost of 5 influence. Most cards removed from the game were also added to the 5 universal influence list. A first core cards had no additional cost and I also slipped some into the list adding one additional influence. Most of the 1 universal influence cards are really there to nudge people into playing with other cards. Jackson Howard will likely be a staple for every deck, so having a little influence penalty might make people look for alternatives. Akamatsu Memchip is another example. Although it was removed from the game I’m not sure if it’s something worth throwing onto the 3 or 5 influence list, but it should have an increased cost just to push people into trying other hardware options. The other pickle was to figure out what to do with IDs that were dropped from the game. I decided to give them a penalty to their influence totals. You could play Noise, but expect a small ding to your available influence. Not sure how this will work and it might have to be altered some in the future. I suspect Noise’s ability might have to be changed to once per turn instead. I compiled this into a Terminal Most Wanted List which you can find in the downloads section. Very likely I’ll be tweaking this and keeping an ear to the ground on what cards folks are grousing in the newer expansions that need to be tinkered some with their costs. I’ll be sure to share how this MWL fares with the folks I play with. Gates of Antares is my sci-fi skirmish game of choice as of late. One particular aspect I enjoy about GoA is that it has embraces more narrative scenarios over just having your typical tourney smash em up. However, one thing the rules lack though is a set of campaign rules. I’ve been thinking of some ideas to get a framework of rules together for campaigns. Digging around I fell in love with some stuff over on another wargaming blog, Steve’s Balagan. They worked up a branching campaign system which is concise, builds on previous battles, and doesn’t get mired down in a lot of rules. I love it. I still want to putter around with some ideas for dealing with casualties and resupply. I might dig into Star Army: 5150 for that, as they have some nifty rules for running a campaign game. While I might consider working on some static campaign maps, I wanted to possibly consider using a random mission system for battles. There is some great stuff out there which looks nice. I may use the idea of a static defender and attacker to shake up the mission objectives some, but the rules I’ve looked at are pretty robust. I also enjoy that each side has some more hidden objectives to add to the flavor of a particular engagement. Certainly a bunch of great stuff out there to tinker with. One thing I latched onto planning out my sci-fi campaign game was using ships as characters. I tinkered a lot with the sci-fi companion rules and they still floundered some with me. I just couldn’t really see making starships a larger part of the game and making it work. If I approached making them characters I could make combat and other aspects of travel more engaging, even if it was being abstract over the traditional vehicle rules. 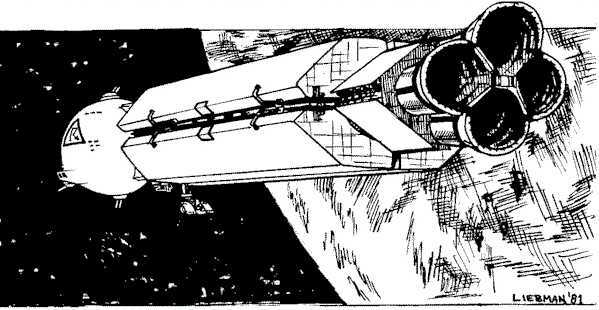 So I really dug the idea of using ships as characters and I scooped up Savage Space, a fan made space opera conversion. 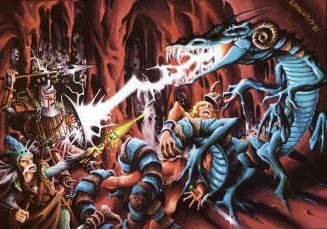 Although the spaceship combat rules were pretty solid, I didn’t quite want to go the route of a battle mat and miniature ships along with using actual ranges to work out combat. I liked the idea instead of using the chase rules from SWD. There were some additional tweaks I wanted to implement however. Turrets vs Fixed Weapons – I altered the costs some of weapons and kept the idea of fixed arc weapons hitting harder, but were cheaper than turret weapons. Unlike the RAW (Rules As Written) chase rules, I’m allowing ships to return fire against other target craft. Yet they would be limited to turret weapons if the ship didn’t have advantage. Speed matters – Ships announce their intended speed and it has an influence on ship initiative if substantially higher than the opposition. Some ship weapon systems like torpedoes would require a slower speed to lock in and would be subjected to snap-fire penalties otherwise. Combat is chaotic – I liked the idea of drawing clubs introducing some type of complication with some ship systems possibly going offline. This allows the repair skills having some other purpose than out of combat checks for ‘healing’ ships. It could be mitigated some with drawing a lot of cards which ties into…. Piloting skill is important – The piloting skill matters. Aside from drawing cards for initiative, the higher the roll, the more cards that can be drawn, and the better chance a different card can be chosen if a club is drawn. Also there is a small change I have with the RAW chase rules, all ships draw 2 cards. If they fail their piloting check, they have to play the lowest card. So piloting has a lot of bearing in ship combat. Inherent ship agility matters – Another small change I wanted was to have the agility of the ship have some function. I decided to make a basic check using the agility of the ship. Slow, lumbering craft with a low agility would be more difficult to gain advantage during a round compared to more nimble starships. So if failed, there would be a penalty to the Piloting check for that round. Below are some more details on the ship combat rules I worked up. Another notable aspect is using a damage table for wounds received, but it’s covered pretty well in Savage Space. I also tweaked the range tables some from the rule book to allow for more attacks at medium range (and also allowing for lower range modifiers). Below are some high points of starship combat. Hope folks get some use of of this for their games. 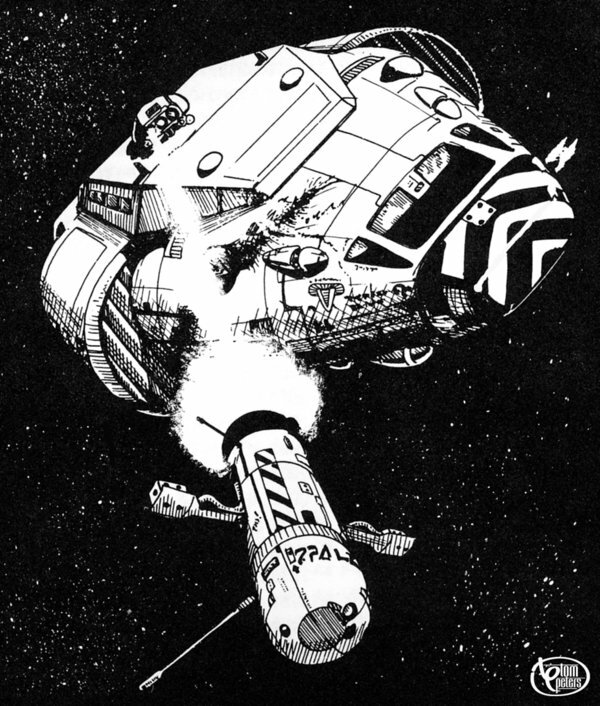 Starship combat is a variant of the chase rules. Combats will typically be 5 rounds. At the end of the 5th round, and each round afterwards, the GM rolls a die. On an odd result the combat ends with either a ship slipping away, or the pursuing craft breaks off. On an even result the combat will continue at the GM’s discretion (ex. 3 fighters are pursuing a player ship. One fighter is destroyed and another is heavily damaged during the pursuit. 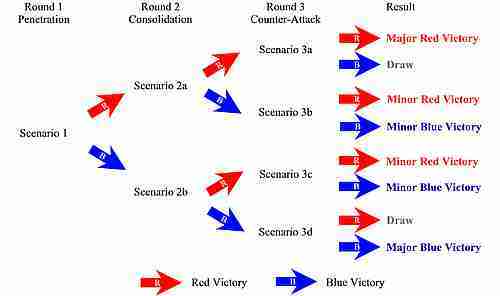 A 6th round of combat should happen but the GM decides to break off the fighter attack, deeming the attackers have taken too many losses to likely keep up the pursuit). 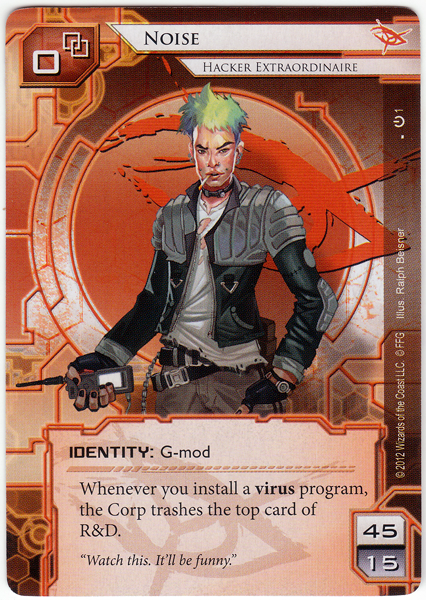 For each round of combat initiative is determined by drawing various cards. Follow the sequence below to determine initiative order. Declare and record speed (For an ambushed ship current speed is equal to its acceleration). Each ship is dealt 2 cards. Determine Ship Agility Modifiers. Players make a trait test using the ship’s ability value. This can be modified due to ship wounds (or other applicable modifiers). On a failure the Ship Agility Modifier for this round is -1, on a success the modifier is +1. Players make a Piloting check applying any modifiers for wounds, shaken ship, etc. including the Ship Agility Modifier determined in the previous step. On a failure the ship must take the lowest of the 2 cards. On a success, the ship may take the highest. For each raise another card is taken and the ship may take the highest. Note that on a success, players may opt to take a lower card (especially if the higher card is a club). All ships act in initiative order. Ships which have a higher card compared to other ships are deemed to have the advantage for this round against those ships. If the selected initiative card is a club, some manner of complication happens to the ship during the round. Speed – Apply a +2 modifier if the ship’s current speed is higher than the fastest opponent. This becomes a +4 if their speed is twice as fast. Climb – If their climb is higher than their opponent, this confers a +2 bonus but only while in an atmosphere. Terrain – Some conditions may incur a -2 penalty (like flying through a debris or asteroid field). If the ship has advantage (their initiative is higher than an opponent), the may fire all weapons to bear on the target ship. Ships without advantage can fire on their attackers but only with non-fixed weapons and have a -2 penalty to Shooting in addition to any other penalties. The number on their initiative card indicates the range and any penalties due to distance are in parenthesis (see the Range Table). Snapfire Penalty – Some weapon systems have the snapfire characteristic. If the ship’s current speed is equal to its acceleration, or the target is at short range, there is no penalty to fire. Otherwise the craft suffers a -2 penalty to Shooting. 2 Out of range, enemy is blocked, etc. No attack can be made this round. 2 Maimed Ship – Ship suffers severe scars and damage affecting its appearance. 5-9 Internal Damage – A vital system inside the ship is damaged and needs repair. 10 Engine Damage – The engine’s FTL drive goes offline or its agility is reduced by one die type. 11-12 Cockpit Damage – Scanners, the ship AI, or some other sub-system goes offline. 2 Disaster: Piloting check at -4. If failed a major system fails at GM’s discretion such as the engine going offline, life support failure, hull breach, etc. 3-7 Major Complication: Ship Vigor check at -4. If failed ship has a system offline/component failure*. 8-Q Complication: Ship Vigor check at -2. If failed ship has system offline/component failure*. A Distraction: The crew has their hands full. If attacking, a -2 penalty for Shooting this round. * These complications are typically at the GM’s discretion. Alternately, cards can be drawn for various ship equipment and if a club is drawn the listed complication for that piece of equipment may occur. A long while back I introduced some house rules for Bolt Action that I use for my games. Just some tweaks to a few odd things I find a little quirky with the rules. One thing that I’ve stewed a bit on however are the ranges. I understand why they are so truncated. For a wargame to be played on the dinner table and trying to encourage maneuvering with squads, you can’t have ranges covering the entire play area. Now a lot of gamers have a beef with this and cite it as a huge flaw with Bolt Action. I’d totally agree for some weapons it throws all simulation out the window playing the rules as written, especially with tank guns that were actually reaching ranges of a kilometer or more. So a lot of folks lean towards other systems where ranges are longer distances or simply cover the entire table. However for infantry weapons there are a few documents which claim field manual distances were fairly exaggerated. Actual combat engagements were much closer, having rifle fire up to ranges of 300 yards, with truly accurate and effective fire being at only at 100 yards. With short distances like those, 24″ rifle ranges might not be too far off from what was actually seen on the WW2 battlefield. 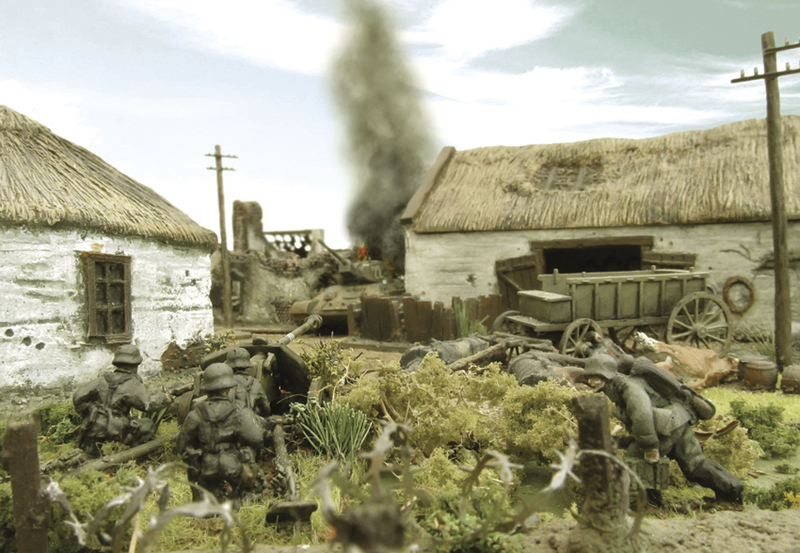 There was one thing that stuck out for me when reading Battlegroup (another great set of WW2 miniature rules). That was the idea of fire at extreme ranges which could only be used for suppression. Battlegroup has effective ranges for all weapons that can inflict casualties or damage armor. However there is no max range and players can freely fire at anything on the table top that they can see. However these long ranges are limited to area fire only. It’s hard to land a hit and if you do, you only get to put a pin marker on your target. It is for suppression only and you need a ton of firepower but it’s an option. This is certainly something I could use for my Bolt Action games. A fire mode that was difficult to achieve hits beyond maximum range and would only result in pins. I still wanted to cap out ranges though, but stuck at simply doubling listed ranges. Even for armor this could be used, but like rifle fire, could only potentially pin a target. So I decided to incorporate this into my own house rules. You can find a detailed explanation of the rule below. Extreme Range – On a fire order, all weapons can fire at targets up to twice their listed range. Weapon fire at this extreme range only hit on 6s on 6s as per Nigh Impossible Shots (pg 37). All hits do not inflict casualties or vehicle damage, regardless of their penetration value. The target will only suffer one pin instead if hit (suppression does not apply). Armored vehicles, whether they are open topped or not, ignore all small arms fire at extreme range. Vehicles hit from weapons of +1 pen or greater suffer a pin as per the Tank War vehicle rules (veterans ignore hits if the weapon cannot penetrate their armor, inexperienced units gain a pin, etc.). Note that weapons which can cause more than one pin such as HE weapons still only inflict 1 pin at extreme range. Flamethrowers and indirect fire weapons firing smoke cannot use this rule. I’ve been hammering away at a sci-fi Savage Worlds setting. 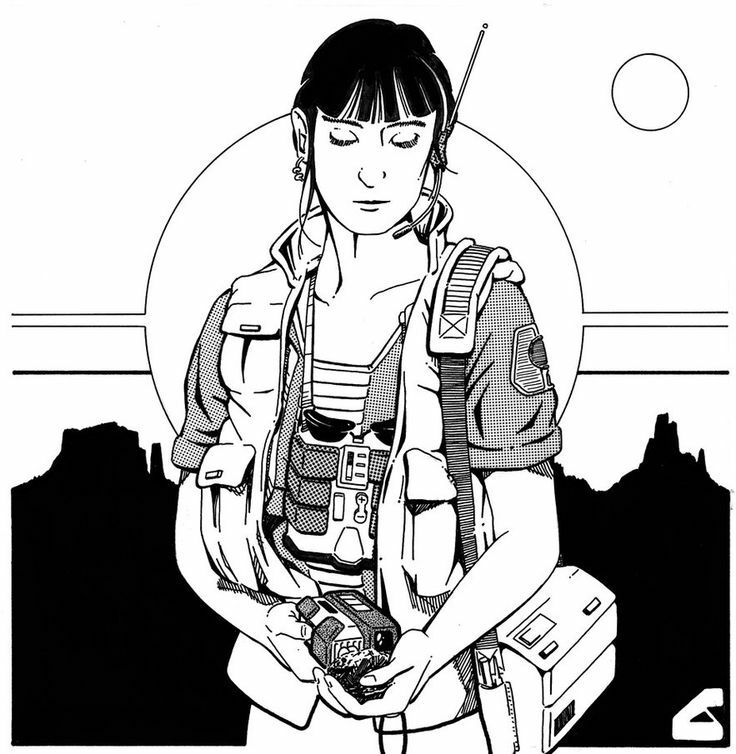 A long while back I dabbled in a Traveller hack for SW but wanted to embrace the new Science Fiction Companion more. One thing I like about Traveller though was that character generation was sort of a mini-game. You chose to follow along different careers and rolled on tables to see if what skills you picked up. Sometimes something fortunate happened and other times there were these complications (or complete disasters for the player). However a lot of times it resulted in a character that was more fleshed out and a past history. One particular hang up for starting a new campaign is getting all the players to on the same page with setting ‘world’. They might have different ideas on what are likely important skills, or worse, sort of overwhelmed with choices. On that front, having lots of archetypes available is helpful. My beef is that archetypes can be a little rigid or maybe too optimized. I wanted to offer some guidance in skills to pick up, but not push them into having particular edges or ability ranks like archetypes have. Lastly as a sci-fi setting goes, you are going to have a slew of knowledge skills to pick up and can be a little overwhelming for character generation. I’ll freely admit I jumped into throwing in some more edges too which ramps up the complexity of the system some. But for some things I wanted to reward player investment into a background theme, rather than everyone able to be just as effective as that player wanting to specialize. Interstellar Marines: You received basic military training for the Interstellar Marines, responsible for operations related to assaults on ships and planetary invasions. Support: You served as a quartermaster, engineer, or battleﬁeld medic in the Marines. 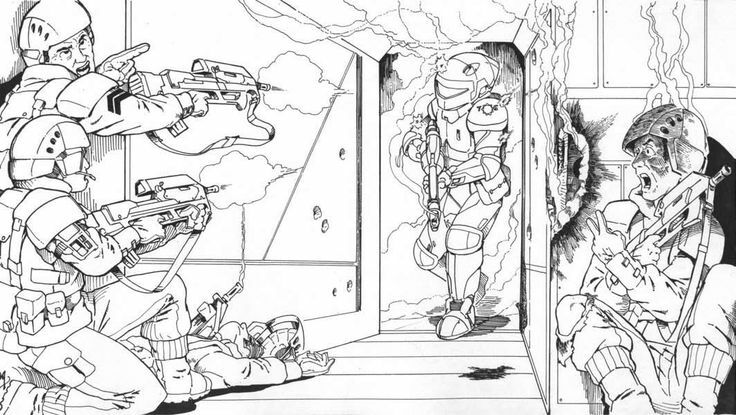 Space Marines: You were trained to fight boarding actions and capture enemy vessels. Ground Assault: You specialized in planetary warfare, especially invasions and drop ship operations. Note that you don’t need all of these specialist skills. I’d still consider getting a list of 4-6 to offer players some choices. For the initial service skills though, you certainly want 5 or 6 skills, as players will be spending 5 skill points when they pick up the edge. They will still have at least 10 skill points to further choose skills. This might sound a lot but for a setting heavy on different knowledge skill choices, they will quickly burn through their points. This can be very modular for different settings. It’s also likely an easier process than making up archetypes as you just have to think up skills and some edges that would likely apply to a profession or career. Say you were running a Victorian steampunk game and wanted to whip up a career edge list for someone that served in the imperial navy. A basic list of skills would likely include boating, some combat skills, along with some knowledge skills. If they were an officer you’d have some specialty skills and edges related to command. However you might also consider a Connections edge (throughout their career they might strike up a friendship with a nobility or a high ranking admiral). If they were more a specialist in the imperial navy, maybe they were a medic, cook, or became familiar with the workings of steam engines. You don’t need to make every specialist path a huge list of skills, but could lump them into one list (like the example above for the Interstellar Marines). If you were just a deck crew hand, you’d likely have a lot of overlap with the service skills, but may also pick up some other skills related to a sailor’s life on an imperial steamship. Maybe you might have picked up gambling or streetwise aside from honing your fighting skills. Once you start making up these lists, you find out how flexible they work and a lot easier than working up archetypes. One note however is that this edge allows players to pick up a ton of skills on the cheap. This tends to work better in settings where there are more skill options to dilute out their pool of skill points. Another downside is that some double checking may be needed after character creation, especially with certain edge requirements. You might have that occasional player which picks up an edge but doesn’t have a high enough ability score (or training in a specific skill) according to the rules. So when making up these lists a GM has to watch out for those inconsistencies and be prepared to reign in a few edge choices when players are done. It’s a point I will concede to properly built archetypes, as they wouldn’t have this issue. Below is a summary of the Edge (Career). This is a special professional edge that is available to characters during creation. This edge represents basic training and skills obtained during a career in one professional field after three to four years of service. This edge can be only taken once. Additionally, this edge will also immediately spend 5 skill points from the player’s total. The player must buy skills using this edge first, before spending any other skill points during character creation. After deciding what skills are obtained from the Career edge, players can spend their remaining skill points normally. Note that any edges obtained from the Career edge still are subject to trait requirements after all skill/attribute points are spent (i.e. 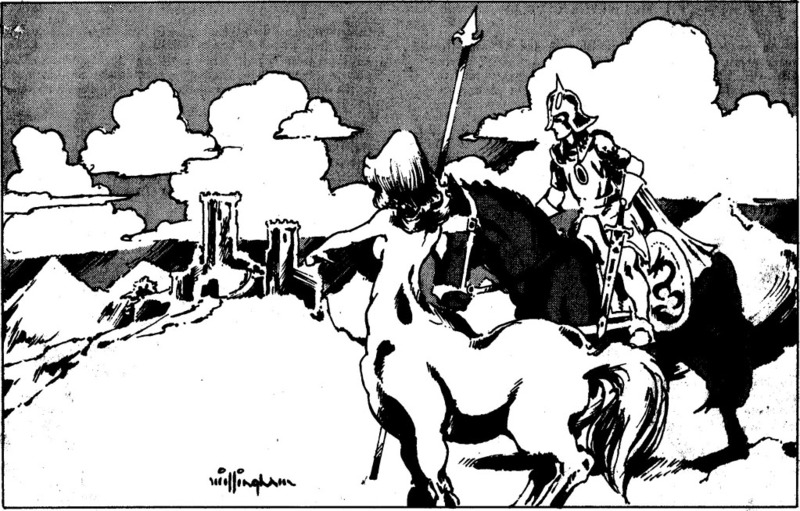 a player must still have a Vigor of d6 to obtain the Attractive edge at the end of character creation). A. Gain 2 different skills/edges from the chosen specialist training list. Chosen skills may be similar to ones gained in service training. If so they increase the trait by one die type (but restrictions for linked ability scores apply). B. They gain one skill from the chosen specialist training list and can raise this beyond its linked ability score. If the skill is new they gain it at d6. If the skill is the same as one obtained from service training, it can be raised 2 die types (to a d8). Note this is regardless of the skill’s linked ability. [EX: Fred has a poor Agility of d4 but is strong as an ox. He opts to enter the Marines and takes the Career edge. He gains all the skills and edges from the Marine service training list. He then chooses the Ground Assault specialist training and decides to pick Fighting and raise it (Option B). As he currently has Fighting d4 from service training, he can raise it two die types up to a d8. The increased cost in skill points due to having a d4 Agility does not apply. If it was not a skill on the service training list, he could have it at d6 (regardless of the linked ability score). EX: Bob also decides to tank his Agility at d4 to buff up his Vigor instead. He enters the Marines and becomes a Ground Assault specialist. He wants to use option A and pick up two skills/edges, eager to gain both Knowledge (Military Science) and Shooting. Unfortunately, he already has Shooting d4 due to service training. As it is an Agility linked skill (at d4), he cannot gain raise this skill to d6 through specialist training for the Career edge. Instead he can take Knowledge (Military Science) and some other skill or edge. If he chose to just focus on Shooting similar to Fred and used option B, then he could have a d8 in Shooting (but only obtain that one skill). I’m busy getting things together for my sci-fi Savage Worlds campaign. So I’ve been tinkering with a lot of stuff. One thing that stood out for me was armor for energy weapons. There aren’t a lot of options in the companion book aside from reflective armor. I like the idea of reflective armor and that if can be worn over other types. I especially like how it’s rather frail and can deteriorate due to damage. But I wanted another option. I can’t envision a universe where weapon systems would migrate to one standard type, as it’d be too easy to offer cheaper defensive systems. That’s one thing I love about the gear in Savage Worlds. Body armor is great for stopping bullets, but worthless against lasers. Conversely reflective armor can disperse laser weapons, but can’t stop a bullet. If you wanted absolute protection, you can combine the two wearing one over the other. The other route is one I don’t want to go which involves power armor (as that diverges into heavy armor only being damaged by heavy weapons). This is serviceable, but I wanted to give my players more options. Digging out old books of Traveller you’ll find Ablat armor. This was cheap, easily replaceable armor that would disperse energy weapon damage and vaporize when hit by lasers (ablation of the protective material). So it’d offer some protection but get worn out when hit by energy weapons. Ablat armor is thin strips (or small hexagon tiles) of dark, ceramic material that diffuses energy. It is prone to damage easily from ballistic or physical attacks, and portions vaporize with each hit from energy weapons. For every wound that a player receives, reduce the armor value by 2 permanently. Additionally the first time a player is hit in a combat, resolve the damage normally. If no wound is scored roll a die. On an even result, 2 points of armor are permanently removed, just like as if a wound was taken. Ablat armor cannot be repaired. It can be worn over (or under) traditional armor types but is rather bulky. Ablat armor is usually combined with non-reflective armor as outer coat of energy protection. Usually it is attached in thin strips/hexagon pieces to the surface of existing armor, or sprayed on in a thick coat of ceramic particles with an adhesive compound. This process takes about 2-4 hours and can be done only on planets of average technology or higher. Partial repairs are not possible with ablat, instead an entirely new layer would have to be added. Ablat also does not alter how noticeable the target is except in some odd cases at the GM’s discretion (like an arctic world where the dark, ablat plating might stand out). Certainly having ablat armor is something my players will dabble in. I’m also certain they’ll agonize some over the constant drain of cash reapplying damaged armor. However it’ll give them some options and potentially ease that urge to pick up combat power armor as soon as possible. Hope folks get some use out of this for their games.